The Chrysler Grand Voyager is one of a dying breed of seven seater cars that has the space to carry seven people in luxury now Renault have now stopped selling the Grand Espace in the UK. It is equally at home transporting celebrities or children thanks to its space and luxury interior. All models come with generous equipment and the excellent Stow and Go seating system means it can effortlessly transform into a massive load carrying vehicle. A car this size is going to be enormously practical as long as the manufacturer takes care with the seating arrangement and Chrysler have been building these cars since the early eighties so have plenty of experience. The cabin seats are laid out in a 2 2 3 layout with the drivers and passengers seats but whereas most seven seat cars have a middle bench with three seats the Chrysler puts just two in the next row and three in the boot. This means that it is easy to access the rear most seats through the gap in the middle seats. One of the best features of this car is it’s seating system. The passenger seats are huge and in fact in the 2011 facelift have been made even bigger. The rear row seats are perfect for adults or children and you don’t need to worry about boot space even when using all seven seats. The really clever thing about this car is that despite the generous seats that keep passengers comfortable if you want to carry large objects they can be folded away in less than a couple of minutes to leave a massive load space. 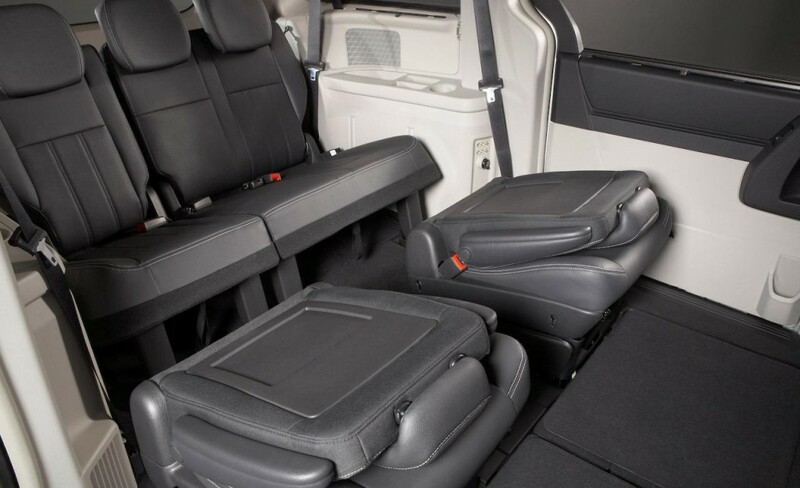 The Voyager employs Chryslers Stow and Go system which allows you to fold the large seats into the floor with a pull on just one lever. They now offer a Swivel and Go system as well which means that the middle row seats can swivel round to face the rear passengers…useful for those executive meetings on the go or games of Monopoly! The electric sliding rear doors make it easier to get everyone in and out of the car though you will still need to find a large parking space. 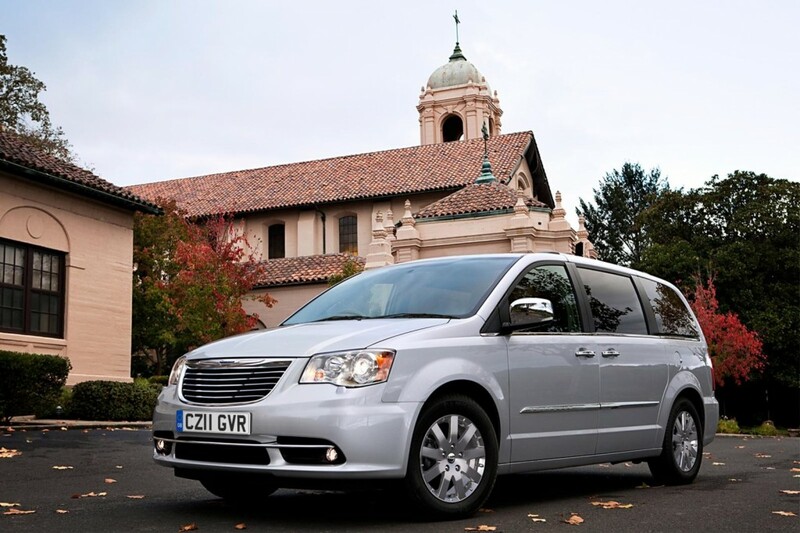 Chrysler now offer the Grand Voyager with just one engine: the 2.8 CRDi diesel. There used to be a petrol option as well but with the price of fuel hardly anyone chose the petrol over the diesel. Even the diesel is not massively fuel efficient with a combined figure of 33.6 mpg but this is one big car to pull. As I said this car is not designed to give the driver a sparkling driving experience and the 2.8 litre engine takes 12.8 seconds to reach 60 miles per hour. Top speed is reached at 115 mph. This is the ultimate in seven seater luxury. Sitting in the Voyager is more like being on your own private jet than a car. There are plane style lights to illuminate the passengers and all three rows of seats have individual climate control. You can have two LCD screens that slide down from the roof so that perhaps the older children in the middle row can watch Monsters Inc whilst the little ones in the rear row are watching Fireman Sam. Everyone experiences the same levels of space and comfort in this car including the driver. Whilst extremely comfortable, the cabin isn’t as modern as many of its European rivals. There is plenty of fake wood on offer and some of the materials don’t have the same quality feel as cars such as the Volkswagen Sharan. Let’s get things straight right away….this is not a drivers car. It’s all about passenger comfort and practicality so don’t expect to be hurtling round country roads like a formula one driver. Or at least if you do you will experience some body roll. The Grand Voyager is a very large car and whilst it grips the road reasonably well the suspension is soft and if you take corners too fast the car will roll but it’s not too bad for a car of this size. 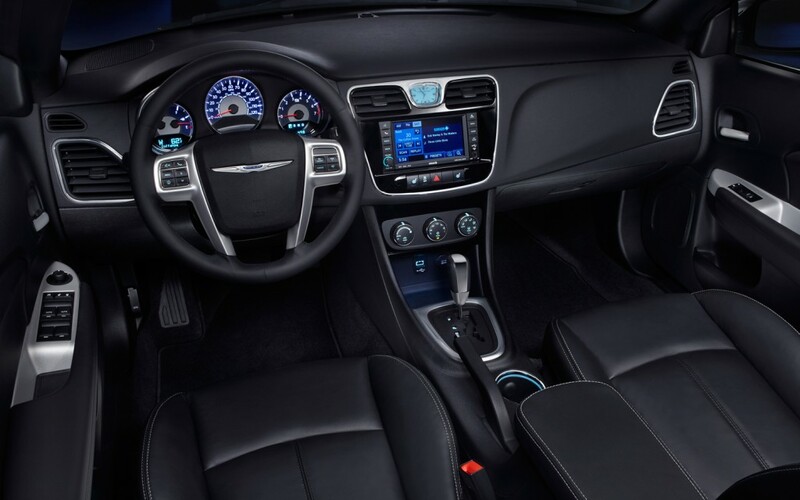 Earlier Grand Voyagers suffered from poor reliability and owners in previous JD Power surveys reported problems with engines, transmissions and ventilation, but Chrysler has really improved its efforts in recent years and this model is well built and you should experience average reliability. The Chrysler Grand Voyager achieved four stars in the Euro-NCAP test which is less than the five stars that many seven seater cars have gained but a distince improvement on its previous two stars. There are six airbags as standard and all cars have stability control as well as ABS brakes and tyre pressure monitoring. This car is not cheap to buy and don’t expect it to be cheap to run. Combined fuel economy is just 33.6 mpg. Road tax is not cheap either as the 2.8 CRDi engine puts out 222 CO2 g/km which puts it in band K costing £270 per year but with a first year charge of £600. Insurance is group 32 so again not going to be the cheapest. 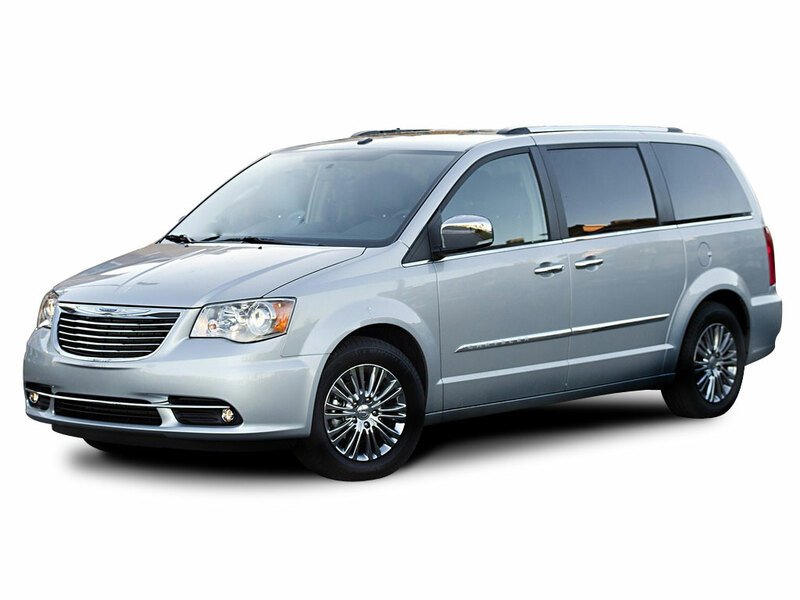 If you are looking for a large luxury seven seater car the Chrysler Voyager has to be on your shortlist. It is spacious, practical and well equipped and will provide supremely comfortable transport. Be aware that this is not going to be the cheapest car to run or the most fun to drive and you won’t go too far wrong with this vehicle.